This head turner got buttoned up last week and is already ripping it up at La Casa Beach Resort! The cart turned out awesome and is exactly what you want to do to a cart for your resort property, bright and fun! Have a look at it! Factory tan upholstery looking good with this color! Next we installed the custom 12″ wheels, windshield and locking dash along with a black pinstripe for some style points! What a cool looking roof! How about some custom matched LED under lights! This cart is going to be the life of the resort! The completed buggy outside with all the finishing touches! 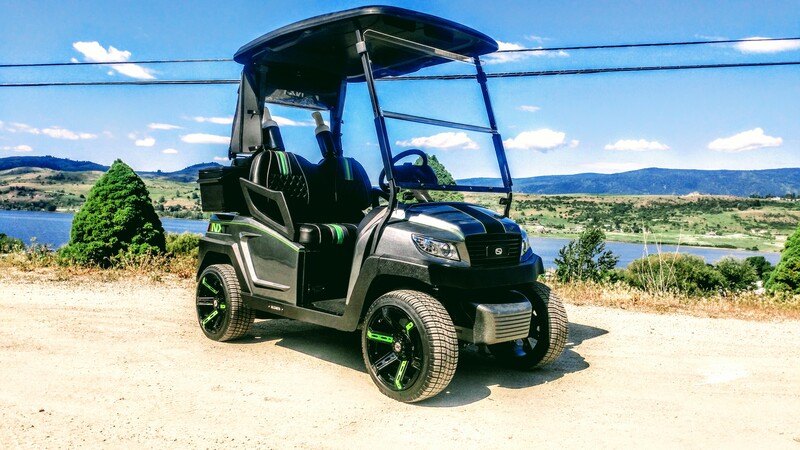 Our team nailed the look of this buggy, with some fresh styling and the color speaks for itself! If you haven’t seen part one hop on it!